Despite Gov. Rick Perry’s firm opposition to Medicaid expansion, a key tenet of federal health reform, Texas Democrats remain optimistic that the 2013 legislative session can yield a deal on the issue. Despite Gov. Rick Perry’s firm opposition to a key tenet of federal health reform — expanding the state’s Medicaid program for those with low incomes — Texas Democrats remain optimistic that the 2013 legislative session can yield a deal that brings in billions in additional federal dollars. It will be a tough sell: No Republican lawmakers have gone on record supporting the Medicaid expansion, which would add an estimated 1.8 million Texans onto the joint state-federal health plan by 2022. Some Democratic lawmakers have already proposed legislation that would help them circumvent Perry, or else produce a bipartisan compromise that might gain the Obama administration’s support. Under the Affordable Care Act, Obama's health care overhaul, the federal government would cover 100 percent of the costs of expanding state Medicaid programs for three years, a share that would taper to 90 percent in later years. The Kaiser Family Foundation, a health care think tank, estimates the expansion would cost Texas $5.7 billion between 2013 and 2022, which the organization calls a modest price compared with the $65.6 billion that would be covered by the federal government. This summer’s U.S. Supreme Court ruling, which allows states to refuse to expand Medicaid, gave Republican governors leverage to negotiate changes to federal health care reform. And Perry holds the power to veto any legislation that would expand Medicaid in Texas. “What the federal government needs to focus on is giving states more flexibility in delivering care,” said Catherine Frazier, the governor’s spokeswoman. Ellis has filed a bill to put the option of a Medicaid expansion on a statewide ballot as a provisional amendment to the state Constitution. Giving the deciding power to voters would circumvent Perry’s veto power and relieve political pressure on Republican legislators, he said. State Rep. Garnet Coleman, D-Houston, is also trying to provide a path toward Medicaid expansion. He plans to file an omnibus Medicaid bill that could be altered during the session to incorporate Republicans’ conditions for a Medicaid expansion. One idea is co-insurance, Coleman said, which some Republicans have endorsed to get new Medicaid enrollees to pay a portion of their monthly health care premium. Both political parties agree Medicaid needs reform. In their 2011 budget negotiations, state legislators underfinanced Medicaid by $4.7 billion. And as the program’s enrollment and costs grow, fewer providers are accepting Medicaid clients because of the state’s low reimbursement rates. Republicans say expanding Medicaid before it is reformed will bankrupt the state or force lawmakers to redirect money from other areas of the budget, such as education. “To make the system work, we need permission from the federal government to do things like charge co-pays, promote access to private health insurance and encourage personal responsibility,” Sen. Jane Nelson, R-Flower Mound, and chairwoman of the Senate Health and Human Services Committee, wrote in an editorial on her official website. 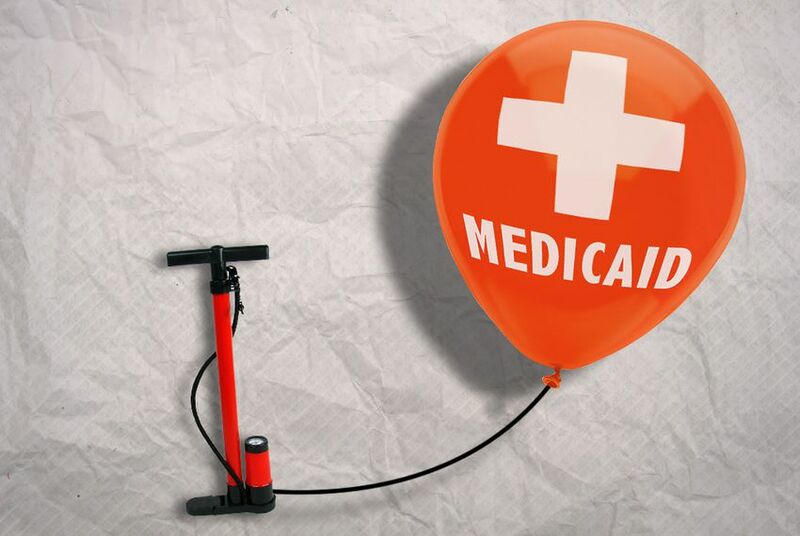 If the state and the federal government cannot reach a deal to expand Medicaid in Texas, it is unclear whether any federal public assistance would be available to individuals who would have qualified for Medicaid coverage under the expansion.